Home > Testimonials > Doreen H.
We had the extreme pleasure of working with Steve Keller selling our property. I wanted to tell you how fabulous our experience was working with Steve. My husband Henry and I live in Virginia – making this a long distance sale for us. We were worried about all the logistic problems that we would have to coordinate and face with respect to listing this property and getting it sold. From the first day we talked to Steve we knew that we hadn’t only found a very competent Realtor- but also a friend to help us every step of the way. Steve repeatedly went over and above to help us. January saw some of the coldest weather Tallahassee has ever seen and Steve made sure our property was safe from the freezing temperatures by checking on the property everyday and making sure the faucets were dripping and all was okay. He kept constant contact with us to let us know that our property was handling the freezing temperatures without problems. He gave us such peace of mind. 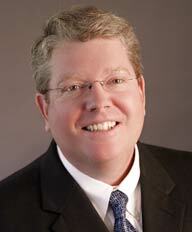 Steve handled every aspect of the listing – contract – settlement with such professionalism and knowledge. When we needed him we could always get in contact with him – this was very important to us. Working with Steve was one of the nicest and smoothest experiences Henry and I have ever had selling property. We would highly recommend Steve to anyone looking to buy or sell property in the Tallahassee Area!